Ever wanted to sail the seven seas? Now you can, thanks to variety of thrilling seafaring adventures that will either show you the country's best sights, thrill you to your core, or teach you the ins and outs of sailing. There's a world of choice when it comes to boating, so whether you want to swan around in a luxury yacht sipping champagne or you want to thrash around in a powerboat, you'll find something right up your street. Step into the deck-shoes of the ridiculously rich and famous in a Sunseeker powerboat experience. 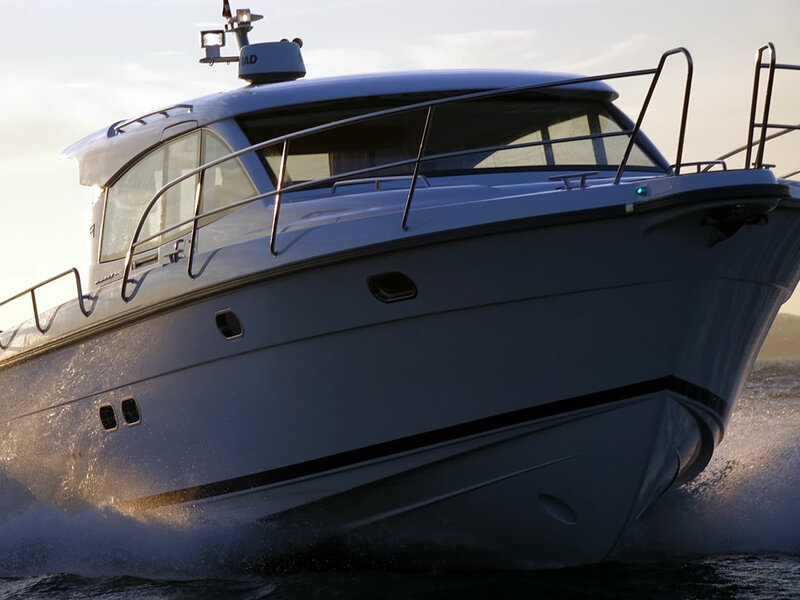 Discover how the other half live as you’re treated to a leisurely river cruise, then find out what puts the ‘power’ in this swish speedboat as you’re let loose on the open water. Hold tight as the skipper takes speed to the extreme, skimming across the surf in a show of swells and spray. Quite simply, this is the ultimate water-based adventure that leaves everything else in its wake. The High Speed Luxury Sunseeker Driving Experience is your chance to take the helm of a 40ft Sunseeker Portofino in Southampton. See Netley Castle, Calshot Castle, Spinnaker Tower, and The River Hamble along the way. 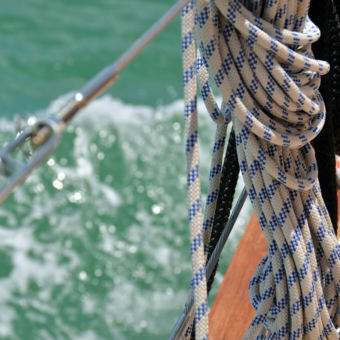 Literally learn the ropes on a variety of yacht sailing experiences. Take to the seas and get the wind in your sails. You’ll learn a whole raft of techniques from experienced professionals and will soon be hoisting, helming and hauling with the best of them. You’ll also have the chance to put your sailing skills to the test in a thrilling yacht race. Whether you work the winches, suss out the steering or simply sit back and enjoy the ride, this is a superb seafaring adventure that’s perfect for beginners and a boat-load of fun. Your experience will usually be shared with a small group of other participants. No previous sailing or boating experience is required, but participants should be agile enough to be able to climb on and off the boat. 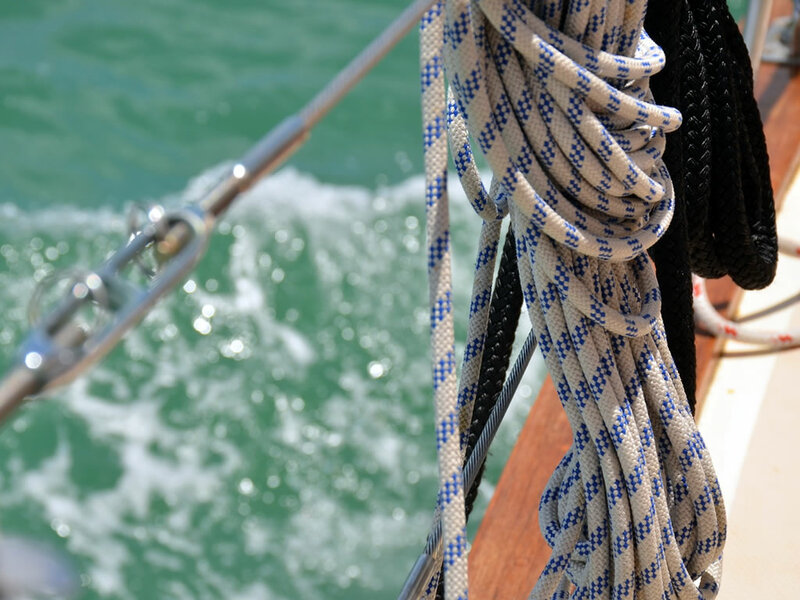 It’s all hands on deck as you get stuck in and learn the ropes from seasoned skippers, who’ll show you how to crew the yacht, take the wheel and hoist the sails in this fantastic experience. Then it’s time to put your skills to the test and pull out all the stops in an adrenalin-pumping yacht race that will pit your wits against the competition. Prepare to have a whale of a time! Enjoy two days of RYA sailing tuition in at Brighton marina in Sussex as you train in Keelboats. By the end of the experience, you will be RYA level 1 qualified. Water racing is all about keeping control of your craft at massively high speeds, which is harder than it sounds (and it already sounds pretty hard). There are a variety to choose from, and each one offers something a little different. Adrenalin junkies rejoice! This is something you’ve probably not tried before, and it will tick all the boxes when it comes to speed, power, and winning! Try the Thunderbolt Catamaran. The 90hp outboard motor that powers this insanely fast craft will give you acceleration like you never imagined could be attained on the water. And as for cornering… the Thunderbolt is famous for it! Or why not sit astride the ZapCat? Although lightweight, this little boat still packs a mean punch, and can reach speeds of 50 miles per hour in as little as 3 seconds! Want to really feel those turns? You’ve got it, with between 2 and 3 Gs bearing down on you when cornering! What about the Zego? Never heard of it? That’s because it’s a new (and thrilling!) craze that is sure to catch on – you can be the early adopter you know you want to be, and get in there before anyone else you know! Stable and sturdy yet speedy with it, the Zego looks like a comfortable craft, but that cosy façade hides its true beauty; its stunning speed! How about trying the Hypercat? This powerboat, with its 300hp engine, is one of the fastest powerboats is all of Europe – and you get to drive it! You’ll feel as though you’re flying once you get the hang of the controls. Or perhaps the Honda Powerboat will get your blood pumping? Experience up to two hours of thrilling - hopefully not spilling - adventuring as you shoot across the Solent and try to catch your breath! Learn how to turn smoothly, and how to stop quickly should you need to. This Honda Formula 4 Stroke powerboat can reach speeds of up to 60 miles per hour. Did you ever think you would be able to go that fast on water? Well now you can! If it’s the thrill and the speed rather than the driving that sets your pulse racing, then the Jet Viper Powerboat Blast could be exactly the thing for you. In this stunning yellow boat with its 450hp engine, your driver will show you everything they can to impress – from turns to swirls to spins to donuts to just going really fast! Expect seat-gripping adrenaline-making fun enjoying this experience! Ideal for water babies and adrenalin lovers everywhere, this water racer experience is fast, furious, and full of thrills! Honda and Thunderbolt boats go head-to-head on this Ultimate Powerboat Day experience in Southampton. You'll get the chance to try an offshore race circuit on both boats before being treated to a passenger ride aboard the Jet Viper. Talk about having a blast. Feel the spray in your face and the wind in your hair as you hurtle across the water in an awesome RIB powerboating experience. Captained by expert skippers who just love to show off, you’ll be amazed at what the RIB can do. You’ll be screaming across the surf one minute; then testing your breakfast as you’re spun around 360 degrees the next. Prepare to experience life inside a washing machine as you’re whisked away across the waves – spinning and splashing from one swell to another. It’s wet, wild and wickedly good fun. 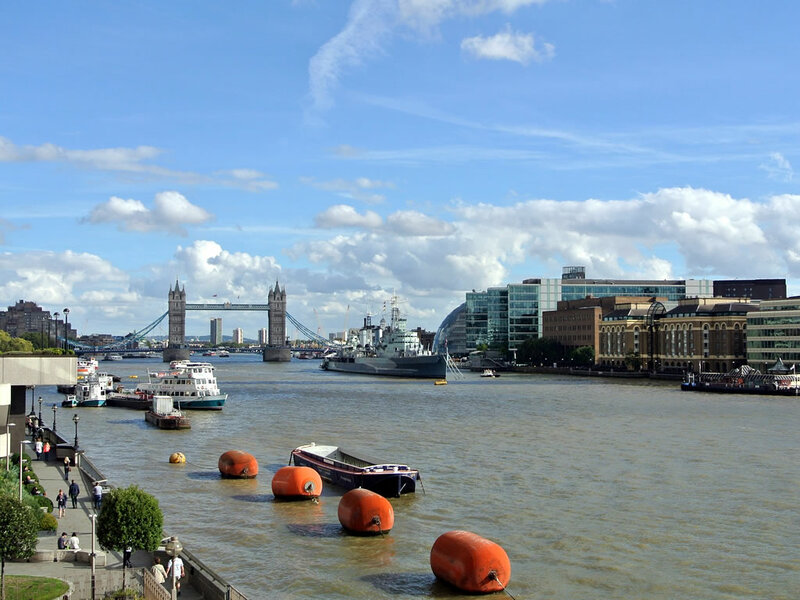 See London's attractions on a fast-faced Thames sightseeing tour on a rigid inflatable boat. RIB Powerboating is a fantastic way to see the sights. Whether it’s the London skyline from the Thames or a view of the South Coast from the Solent, take on a RIB blast and have a whale of a time while you’re at it. The RIB (Rigid Inflatable Boat) is custom-fitted for passengers’ comfort and can tackle speeds of up to 45 knots (approximately 51 mph). Fancy some fast and furious fun? Hop on board the RIB powerboating experience and have the ride of your life as you blast across the water in a cloud of spray; crashing through the surf and finding out what puts the ‘power’ in this potent powerboat. There’s certainly nothing subtle about the RIB – but that’s where the fun comes in. These race-ready crafts are raucous and rowdy – perfect for letting off some steam and taking speed to the extreme. Whatever floats your boat, by the time you’ve returned to shore you’ll be as happy as a clam at high tide. 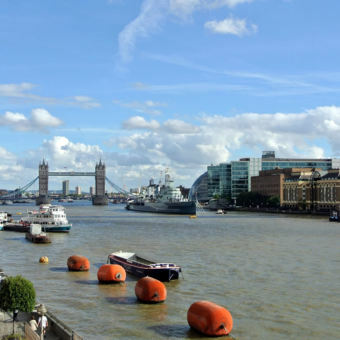 Learn about London's landmarks on a fast RIB boat ride down the River Thames towards Canary Wharf. See all the same sights as you would on a slow cruise, just with way more fun. There is something so very relaxing about water. The sound of it trickling, the surroundings that are so lush and green, so beautiful, the feel of the cool spray on your face as you sail along it. It’s a universally loved and respected part of our countryside, and so when there is a chance to experience it at closer quarters, to enjoy its breath taking scenery and relaxing calmness, everyone should jump at the opportunity. It really is a unique way to travel, and to celebrate a special occasion with a loved one. Rivers and canals used to be the way to travel, and recently they have been gaining in popularity again – quite rightly so! Why spend times stuck in traffic jams and wishing you were somewhere else, when you can spend time relaxing on a peaceful river or canal cruise? There really is no competition between the two! Gift idea: Look out for the experiences that combine a river or canal cruise with catering such as lunch, dinner, or afternoon tea included in the package. A Thames dinner cruise is always a popular choice. There are various ways to travel on the water, and on here you can choose between some of them. Why not try your hand on a narrow boat on a Lancashire canal? If you prefer something where you can sit in the open air, then the scenic Oxford boat trip might be the order of the day. Want something a little less modern? Well, there’s always a vintage barge cruise to experience. These river and canal cruise experiences are the ideal way to spend time with loved ones in a beautiful and unique setting. Whether for an anniversary, a birthday, or a special day out, you won’t be disappointed, and neither will they. Discover the local scenery and enjoy a cream tea as you sail on a barge from Blackburn, Lancashire, along the Leeds Liverpool canal. Enjoy an afternoon cream tea of sandwiches, Lancashire crisps, scones, miniature cakes, and a pot of tea or coffee. If you were fascinated by Flipper or spellbound by Willy the whale, then this dolphin and whale watching experience will certainly put the wind in your sails. From bottlenose dolphins to basking sharks, porpoises to pilot whales, there’s a whole raft of wild animals out there and you’ve got the chance to see them in their natural habitat. It’s not every day you get to spend quality time with these captivating creatures, but in this wonderful watery adventure you’ll observe the ocean’s hidden treasures, learn all about their way of life and have a whale of a time in the process. Who know's what you will spot. Keep a lookout for dolphins, sharks, whales, seals, and sea birds during your marine wildlife tour. 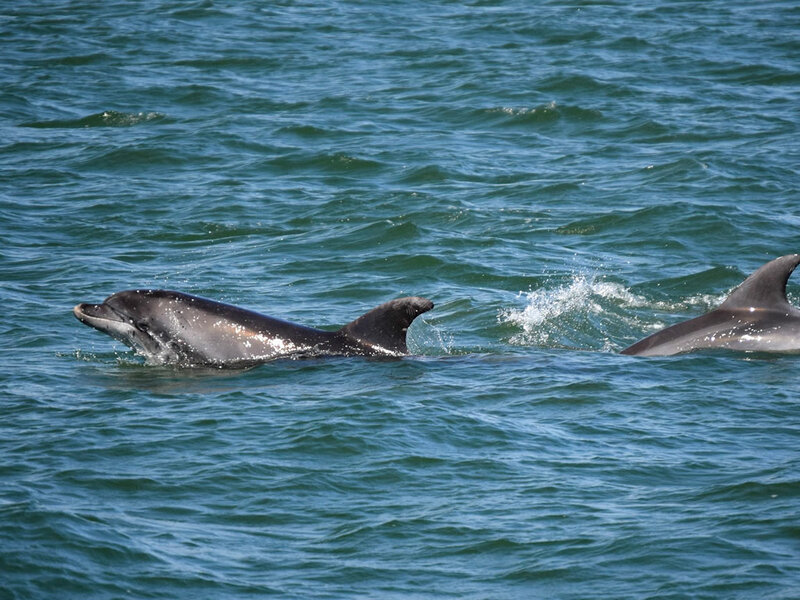 Cruise around the coastal waters, watching out for dolphins (bottlenose, common, or Risso’s), basking sharks, minke whales, harbour porpoise, grey and common seals, seabirds, sun fish and other species. Remember that these are all wild animals so sightings are not guaranteed and are often dependent on the time of year. Love dolphins? Soft on seals? Then climb aboard, take to the seas and prepare to get up close and personal with some of these magnificent marine mammals. From cute and curious dolphins to majestic minke and pilot whales – the gentle giants of the underwater world – this is an aquatic adventure with a twist. See these incredible oceanic species in their natural habitat, learn all about their way of life and prepare to fall hook, line and sinker for their wild and wonderful charm. This is a unique and exhilarating experience that will live with you long after you return to shore. 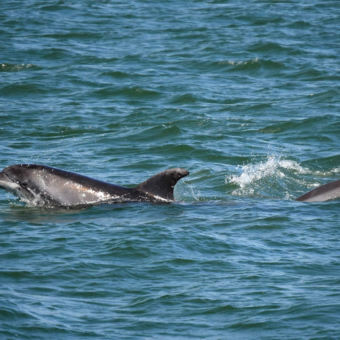 Head out to the coastal waters of Falmouth, Cornwall, on a Dolphin and Whale Watching excursion. No one can accurately predict the movements maritime mammals but commonly sighted wildlife include dolphins, porpoises, sharks, whales, seals, and sea birds. WHEN: The sailing season usually runs from April to October when the weather is a lot better than the harsh British Winters we all know and love - deep, deep, down. Sailing experiences are weather dependant. Remember that there is no shelter out to sea so even on seemingly calm days, the conditions further out could be completely different. Dress sensibly for varying weather and pray that the weather holds in your favour! 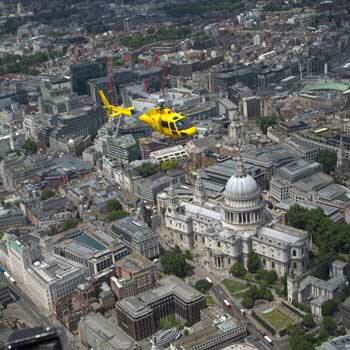 WHERE: Most experiences take place in and around London or in Hampshire on the Solent. There are other experiences scattered around Britain's coastline but these are few and far between. WHO: There's a diverse range of watery experiences catering for a wide variety of people. There's thrills and spills for the adrenaline seekers, superfast sightseeing tours for those that like seeing and doing, and gentle leisurely boat rides that are sedate and relaxed. There's also a wide variety in prices meaning you can find budget options in most categories as well as the luxury options, such as exclusive chartering of vessels. OCCASIONS: Boat rides are very versatile activities and make great birthday and Christmas gifts. They also make ideal anniversary gifts, Mother's Day gifts, and Father's Day gifts. They're also great for bolting on a British short break, so if you are planning a staycation near the coast in Blighty, make sure you check out your boating options.